The playoffs have arrived in most Winter Leagues around the globe. Here's a look at some of baseball's top ranked prospects who have fared best in their leagues' postseasons. San Diego's top prospect hasn't let up in the Winter League postseason, starring in the Eastern Stars' playoff push. Over the past 11 games, Tatis has batted .308/.426/.590 with two home runs, two triples and a double. His five extra-base hits and 12 total hits are the most on his team. Baseball's No. 2 overall prospect also has walked six times, stolen three bases and scored nine times. 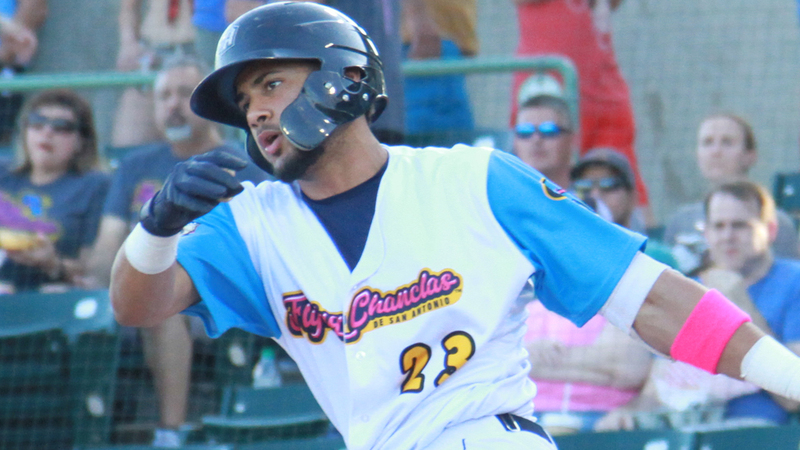 Tatis and the Estrellas eliminated Licey with a 6-2 series win on Jan. 5. Paredes and Obregon are tussling with Mazatlan, tied at two wins apiece in their best-of-7 opening-round series south of the border. Detroit's No. 13 prospect has paced his team at the plate with the highest average (.417) and second-highest OPS (.917) of any Yaquis hitter. Kansas City's No. 16 prospect and the Indios have opened the playoffs in Puerto Rico with three straight wins. In two games, the third baseman has reached at a .375 rate and scored twice. He's also one of just four players to steal a base in the Puerto Rican Winter League playoffs. Mariners fans haven't seen their new No. 28 prospect in a Seattle organization uniform yet, but Bautista is doing solid work in the Dominican Republic. The right-hander has fanned four batters in three innings and posted a 0.67 WHIP while helping Escogido to a 6-5 start in the circuit's round-robin playoffs.